If you know me, you'll know that one of my favourite ways to spend an afternoon is sipping a cup of tea with friends. 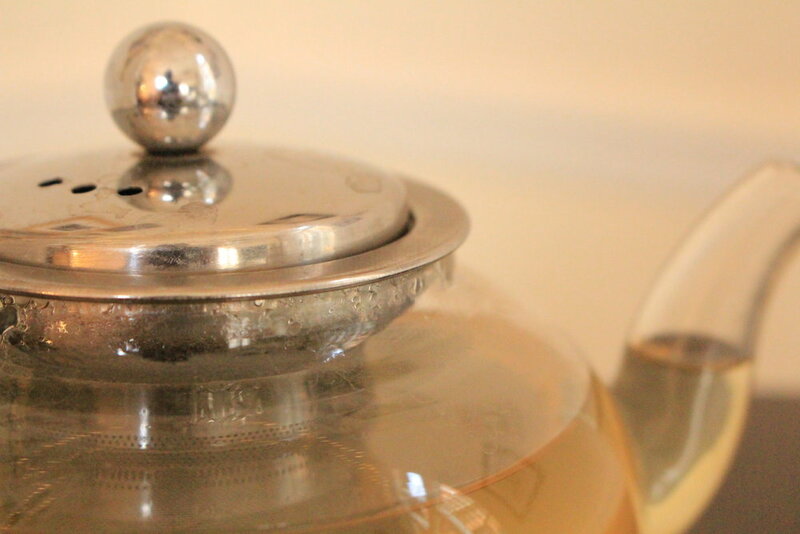 I like to think I know a thing or two about a good ol' fashioned cuppa and so I thought I'd put together a little guide to tea in Hull. Surprise, surprise, Liquid Jade is at the top of my list when it comes to a good cup of tea. If you know me in real life, you'll know that I go on about the place all the time. This hidden tea bar is tucked away in Zebedee's Yard, which is located in Hull's picturesque Old Town. Claire serves the most delicious whole leaf tea, so if you're a fan of herbal and green teas, this is definitely the place for you. They have so many different flavours, from chamomile and lavender to kiwi and strawberry and even the more health-focused matcha lattes and lemongrass and mint tea. Meanwhile, you'll love the bright and airy aesthetic of this old art classroom. Its high ceilings are decorated with the most charming fairy lights, whilst a tasteful amount of album covers and musician photos are scattered across the walls. Strangely enough, I also love this tea bar as it doesn't offer free wifi. It's literally the perfect hideaway if you're wanting a break from social media. I've already written about this adorable Newland Avenue cakery so many times, but I'm back with more appreciation for it. Lydia serves the most delicious homemade sweet treats, as well as an extensive range of yummy hot and cold drinks. As well as your usual English Breakfast, the menu also includes speciality teas, coffees, smoothies and iced drinks. Meanwhile, she cleverly serves her incredible milkshakes in a glass teapot. Check out my post about their craft club here. On top of all this, the cafe is often open well into the night, playing host to a whole bunch of community events, such as craft clubs, film screenings, fondue nights, baby and me groups and even a language cafe. You may think I'm weird but, the tables are one of my favourite things about Lydia's. She has ingeniously customised the glass tops by adding love letters, pressed flowers and photographs. Now, admittedly I do usually go for a coffee in this two-story cafe. However, it'd be wrong to exclude the place where I get a lot of my remote work done. I have spent many an hour hunched over my laptop in Planet Coffee, gripping a cup of tea or a black Americano (my other go-to). This place is great for getting your head down and getting on with some work, especially if you work from home or you are a student. Additionally, you get free Wi-Fi when you purchase a drink (the password changes daily) and it's a wonderful meeting space too. Tea-wise, I know that they serve a selection of fruit teas and Yorkshire tea. However, I thoroughly recommend their hot chocolates or milkshakes if you were after something a bit more indulgent. Just Desserts is a great place to head for a hearty breakfast or a light lunch. They also serve an array of hot drinks, including a choice of delicious teas. With a wall of mismatched mirrors and wooden furniture, Just's decor is quirky yet contemporary. I also like the fact that they serve a broad selection of vegetarian, vegan and Slimming World friendly options - proving that they genuinely care for their customers. The staff are always so helpful when you go in and are happy to move tables and change up your meal to suit you. This stunning tearoom still possesses its traditional Victorian-style front, with a tiny doorframe and huge windows for you to people-watch from. Inside, the beautiful interiors include local artwork, bookshelves and inspiring quotes. It's the ideal place to settle down with a good book or tackle your ever growing university reading list. Meanwhile, they serve tea by the pot, alongside locally-brewed coffee, light bites and salads. And don't even get me started on their cake options! Where's your favourite place for a brew in Hull? Or perhaps you live in another city. Either way, let me know in the comments because I'm always up for a good cup of tea.